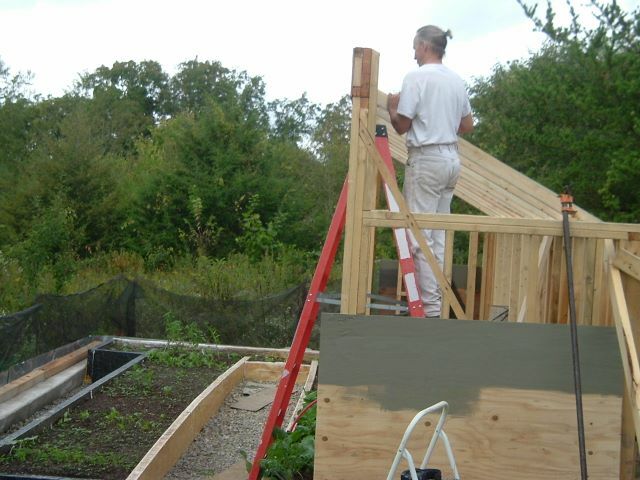 Putting up the roof rafters. It's a pretty short span, so 2x4's are sufficient. The rafters extend out to just beyond the popout the entire length of the roof - there'll be a gutter there catching rainwater.